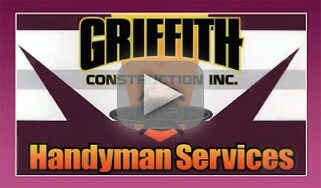 Griffith Construction, Inc. is your local and reliable handyman service company in New Jersey, specializing in all of your commercial and residential handyman repair and remodeling needs. As an owner-operated small business not needing to pay a franchise fee, Griffith Construction, Inc. prides itself on our ability to offer you, home and business owners, competitive and cost efficient rates. We are proudly locally owned and operated since 1999. Over the years, Griffith Construction, Inc. (Griffith Handyman) has invested in Union County, NJ towns and communities and established a loyal customer following. We understand that our customers live within certain budgets. This is why we work with them to develop a plan based on their needs and financial means. You may be apprehensive to try a different handyman company after a negative experience, or you may be tempted to try a handyman company that advertises incredibly low prices in coupon mailers. Before you make a move, take a look at Griffith Construction, Inc.
BerkeleyHeights NJ,Clark NJ, Cranford NJ,Elizabeth NJ, Fanwood NJ Garwood NJ, Hillside NJ,Kenilworth NJ, Linden NJ, Mountainside NJ, New Providence NJ, North Plainfield NJ Plainfield NJ, Rahway NJ, Roselle NJ, ScotchPlains NJ, Springfield NJ, Summit NJ, Union NJ, Vauxhall NJ, Westfield NJ, Winfield NJ.